9-10 in. 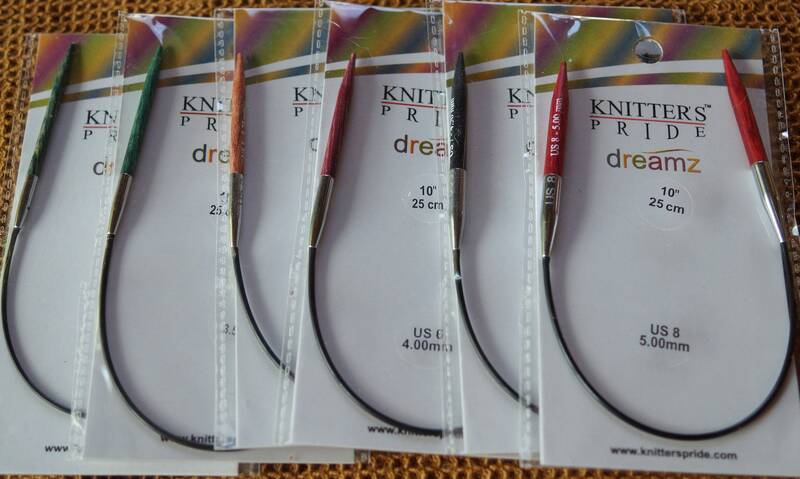 circular KP Dreamz knitting needles free shipping. 9-10 inch Knitter's Pride circular wood needles. Measure 9 1/2 inches from tip to tip. 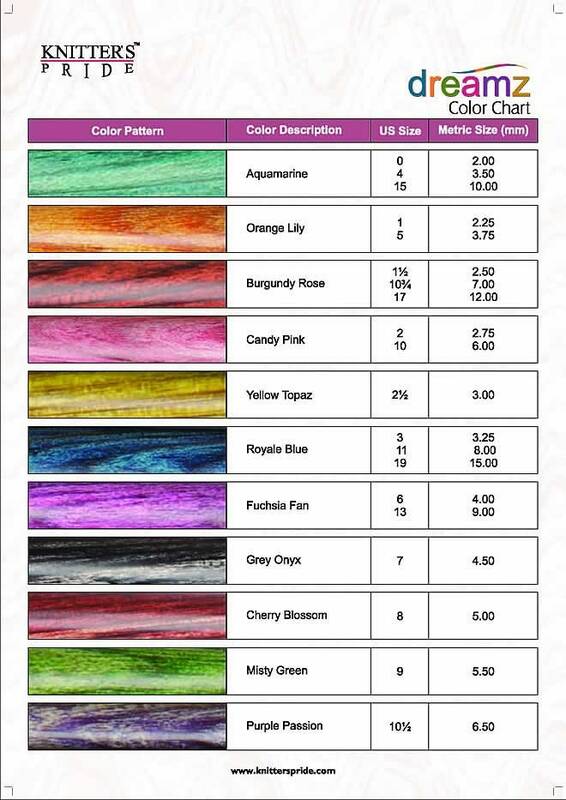 Assorted colors depending which size you order. See photo for more specific info. Wood is nice to look at and very smooth to work with.